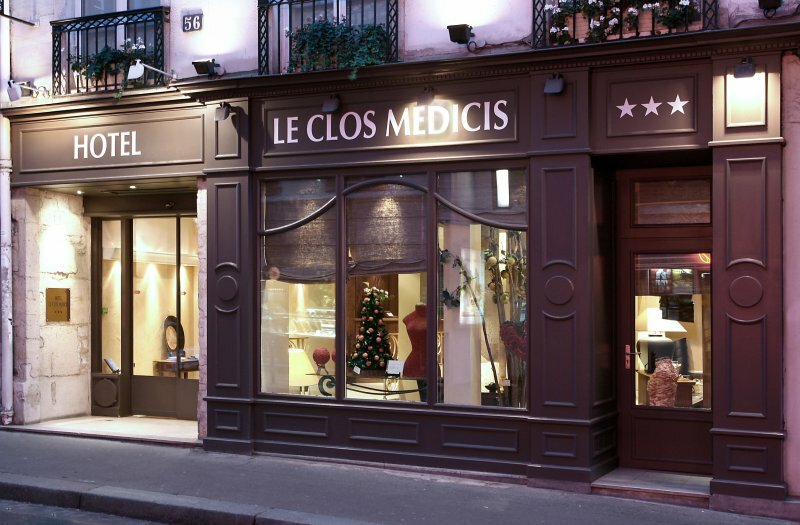 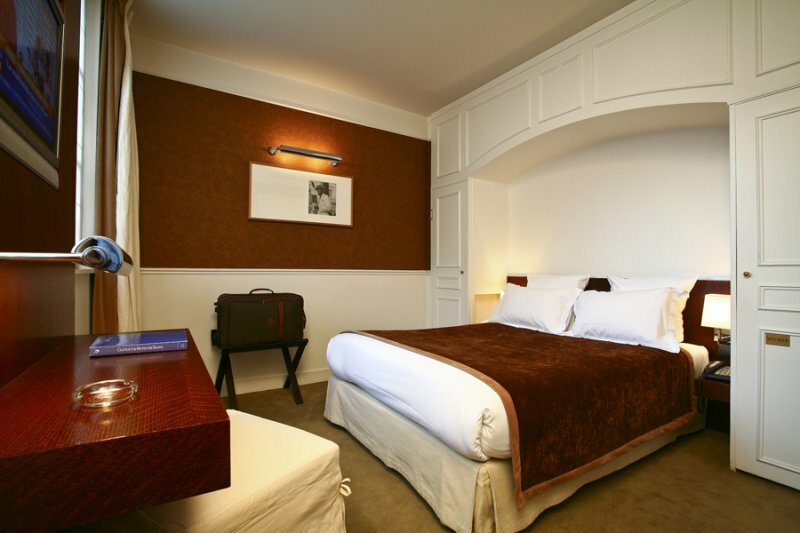 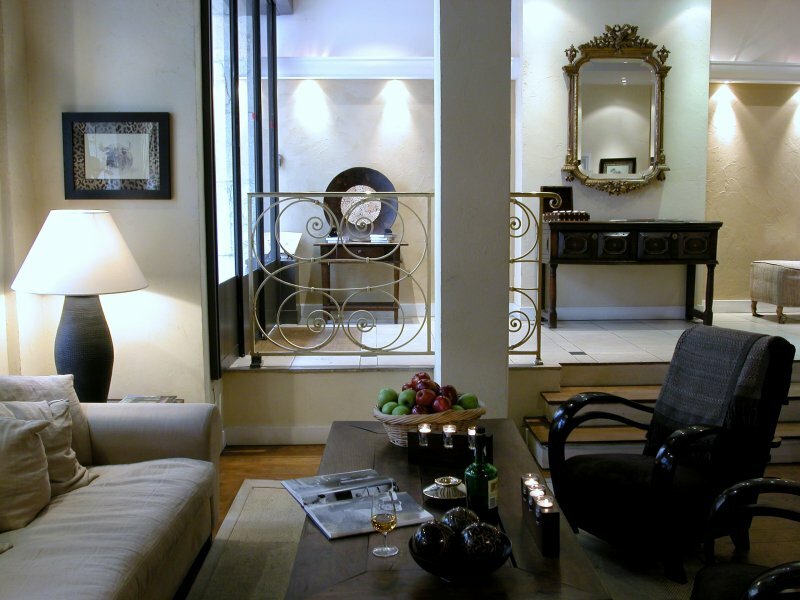 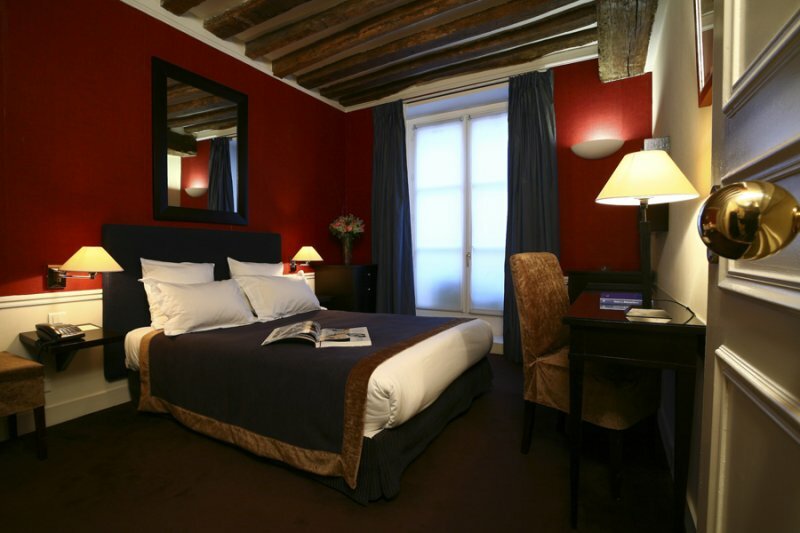 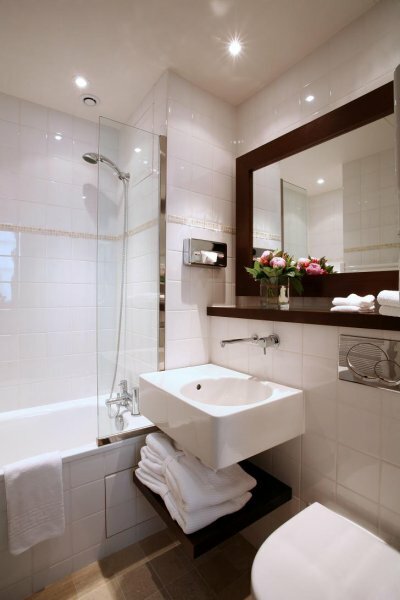 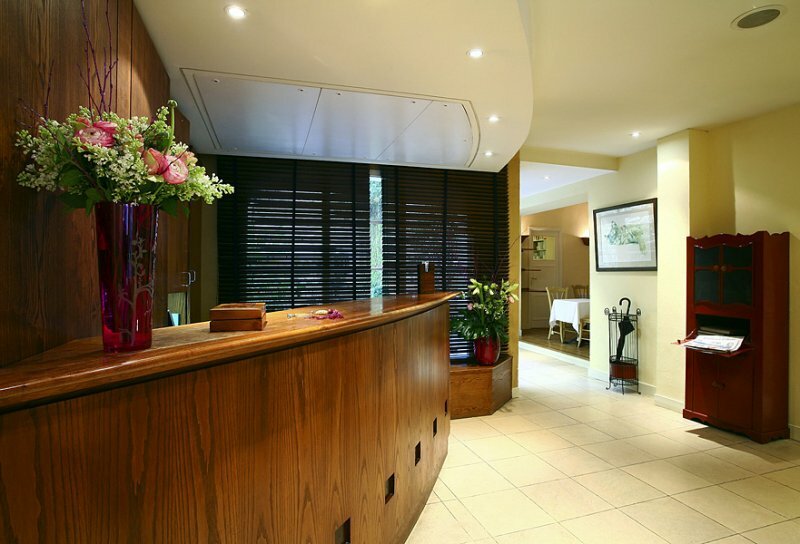 Le Clos Medicis is an intimate hotel, excellently placed, within easy walking distance of the boutiques and restaurants that abound in the area where Saint Germain and the Latin Quarter meet, just off the Boulevard St Michel and next to the Luxembourg Gardens. 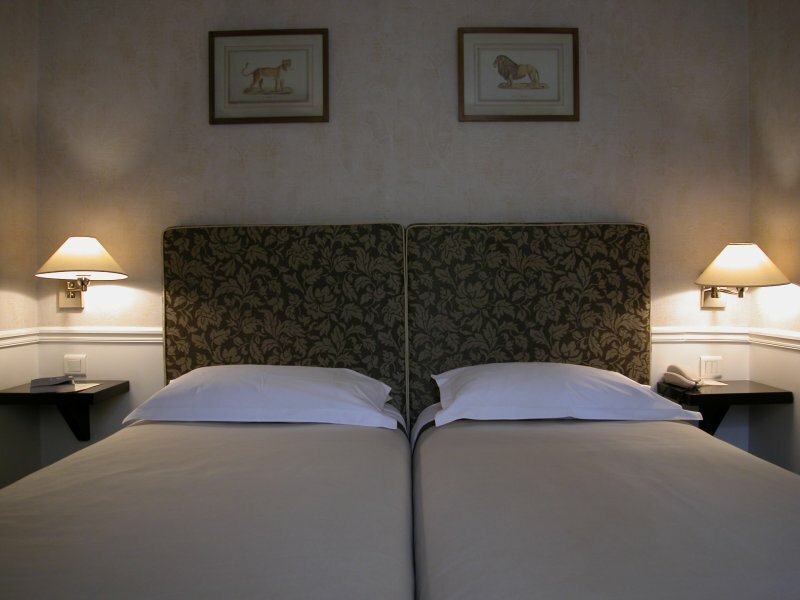 On the weekend noise from the bars can travel; although there is double glazing, very light sleepers should request a room on a higher floor or at the back of the hotel. 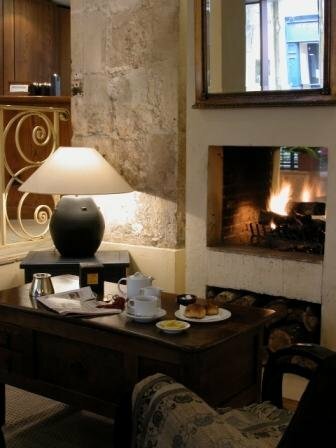 The welcoming lobby has a roaring open fire in winter, inviting sofas and chairs, a small bar, newspapers and a bowl of apples. 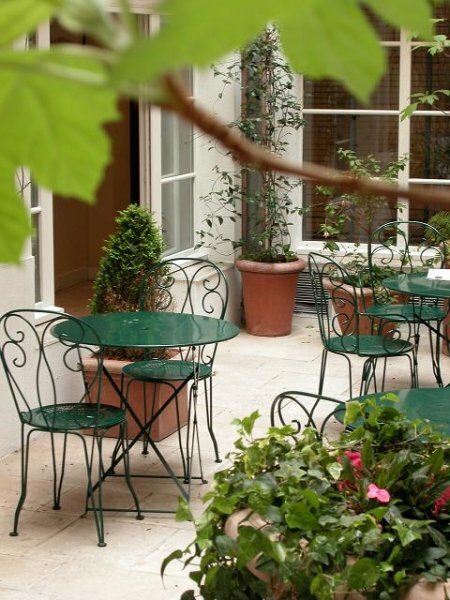 The garden provides a quiet place to relax during the summer months. 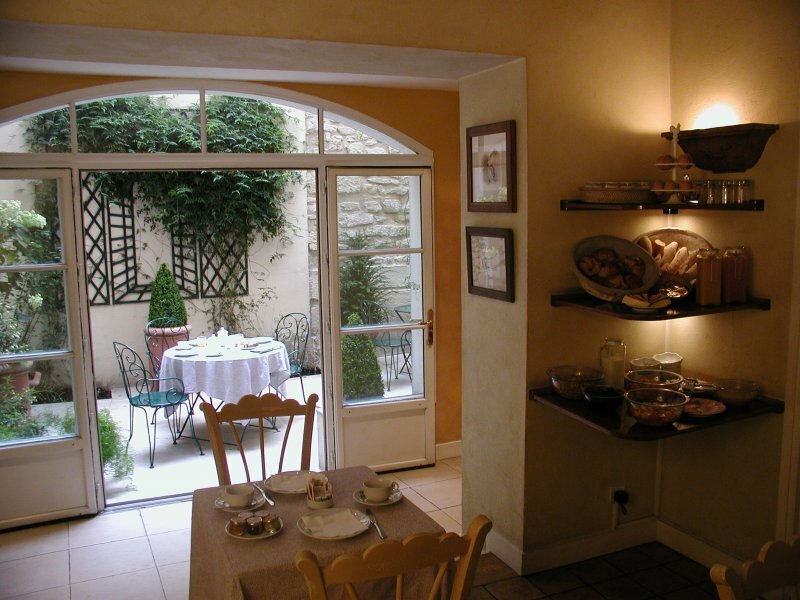 Breakfast is served there, weather permitting, or in the small breakfast room, where a wide continental selection is offered, cleverly arranged on corner shelves to maximize space.